How many ATM models do you offer? 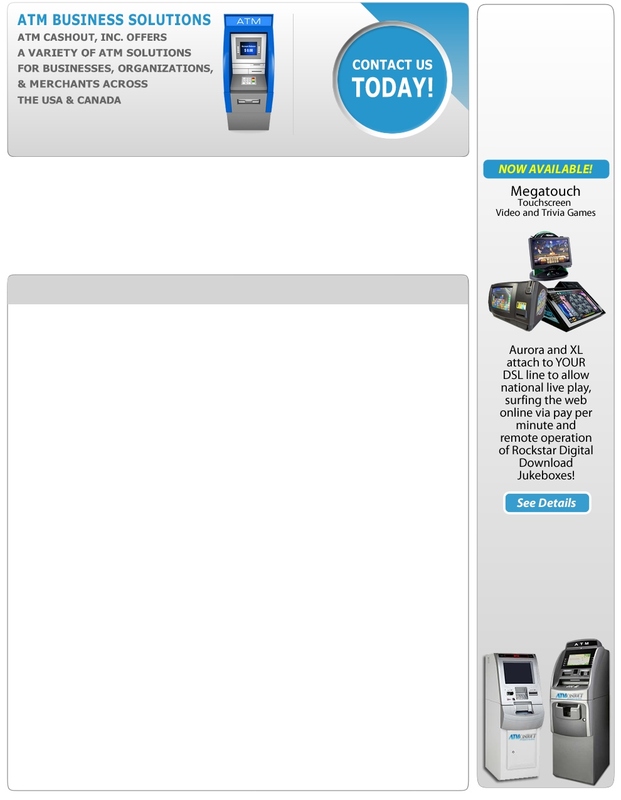 ATM CashOut, Inc. offers several ATM models. We create custom solutions, recognizing that each merchant has needs specific to his or her such as their location, store size, customer traffic, and hours of operations. Should I place an ATM inside or outside? We offer both interior and exterior ATMs. Outside (exterior) ATMs can be installed as free standing or through-the-wall. Outside ATMs will generate revenue for you 24 hours a day, seven days a week. Your interior ATM generates revenue for your business, while offering convenience for local residents and visitors in your location. What happens if an ATM requires service? One of the greatest advantages of working with ATM CashOut, Inc. is our combined ATM expertise and excellent customer service. Customer service and technical staff are ready to assist you with any question or problem related to your ATM. Can a small retail shop afford an ATM? Yes, even small stores can benefit from having an ATM. Working with ATM CashOut, Inc., you can have an ATM in your store at absolutely no cost to you. All Rights Reserved © Copyright 2015 | ATM CashOut, Inc.